The Ajivikas belonged to an ancient Indian sect of naked wandering ascetics who believed in karma, fatalism and extreme passivity. They were a popular sect during the reign of Bindusara, the Mauryan emperor. He and his wife were said to be followers of this section. The sect is also mentioned in the edicts of Asoka. Whatever we know about this sect comes to us in the form of fragmentary references found in the Buddhist and Jain texts and they are not reliable sources of information. The Barabar caves belonging to the Ajivika sect are located in the state of Bihar. It is possible that even the word Ajivikas (lifeless beings) might be a derogatory reference to the sect used by its rivals out of scorn and not the actual name of the sect. Since we do not know what they were actually called, we have no option but to use this term to refer this sect, which at one was one of the most popular ascetic traditions in India outside the fold of Brahmanism. Gosala probably taught the doctrine of inaction as a solution to prevent the formation of karma. The sect probably allowed life or fate to unfold itself without any interruption from the willful and intentional actions of individuals. Since it implied showing no sign of active involvement others might have called them people who lead lifeless existence. The Ajivikas existed as an organized ascetic sect in ancient India long before the birth of the Buddha and Mahavira and enjoyed widespread popularity among people who lived on the fringes of Vedic society as dasyus, dasas and low caste people. t was essentially a tribal, rural and folk tradition that acquired a status of its own due to the depth of its appeal and doctrine that discounted all effort and promoted surrender to the flow of life as dictated by the will of God. It was a doctrine that emphasized flowing with flow rather than against it. The concept of sanyasa or renunciation of effort agrees essentially with the doctrine of the Ajivikas, because they believed that human effort was a waste of time and energy since man's fate was already predetermined by the will of God and the best way to enjoy it was to flow with it, accepting life as it was handed out by God's plan and living without remorse and regret. According to tradition both the Buddha and Mahavira spent some time in the company of Makkali Gosala, one of the chief proponents of Ajivika sect, who probably lived between 560 and 484 BC. The Jain texts indicate a possible rivalry and even confrontation between the Mahavira and Gosala. The Jain version of the story suggests that after their confrontation, Gosala died in disgrace, having admitted to his weaknesses and character flaws. However, this may not be entirely true. We are not sure what influence the teachings of Gosala exerted on the Buddha and Mahavira, but their relationship seems to have been unsteady and temporary. While we do not know what exactly the Ajivikas believed or practiced, we have indications to believe that they practiced an ancient form of Saivism, and their doctrines had some affinity with the ancient Pasupatha and Kalamukha sects. The Ajivikas probably wandered as naked monks, like the monks of the Digambara sect of Jainism, begging for alms in the villages and using magic and fortune-telling to attract people and gain their attention. While we have no clear evidence, it is believed that Bindusara, the father of Asoka, patronized Ajivikas and himself might have become an Ajivika in the later part of his life. Much of what we know about this sect comes to us from the information we have about the life and teachings of Makkali Gosala, who was probably one of the most popular religious personalities of his time. Born in a low caste family of humble background, Gosala derived his name because of his birth in a cowshed (Gosala) of a wealthy merchant named Gobahula, where his father left his mother Bhadda when she was pregnant. According to another legend, he was slave who escaped from his master without any clothes and thereafter became a naked wandering ascetic. Gosala was inspired in his early life by his own father Mankha, a religious bard who made a living by selling images. Although he came from a humble family, he had a religious bent of mind and became acquainted with the Vaisheshika and Samkhya philosophies. But for several years he continued to lead a normal family life, following his father's occupation, before he was drawn to the Ajivika sect. His asceticism, knowledge and sincerity attracted the attention of many Ajivikas who, according to Bhagavatisutra, believed him to be their 24th Thirthankara. His popularity drew to him many educated urban people from higher castes, including people from princely families such as the Gautama and Mahavira, who as young aspirants, dissatisfied with the Vedic traditions and ritualism, were looking at that time for more meaningful answers to the existential problems of human life. According to tradition Mahavira spent about six years in the company of Gosala while Gautama spent about three or four years. (According to some historians Buddha was born after the passing away of Gosala). The Avashyakasutra of Jina Dasa states that Gosala parted ways with his two famous disciples because of some irreconcilable differences over some doctrinal issues. The separation resulted in some rivalry and religious debates between Ajivikas and the followers of Jainism and Buddhism. But it did not dent the popularity of Gosala or the Ajivika sect. After this incident, Gosala stayed at Sravasthi in the house of a potter woman and continued his preaching and practice of the Ajivika doctrine. During this period he also codified the scriptures of Ajivikas in consultation with the other luminaries of the sect. The last part of his life was spent in silence, dance and drunkenness. During the last moments of his life he said to have remarked that the form of Hallah1 (God) was like the root of a bamboo and one should play it like vina, a musical instrument. The teachings of Gosala were supposed to have been compiled into an ancient Dravidian text called Navakadir, fragments of which can now be found in the famous Tamil novel, Manimekalai. Some historians draw a similarity between the lives of Gosala and Jesus. Some essential elements of Ajivika doctrine are available to us in the Jain and Buddhist texts. But since these are the interpretations of rival sects, one need to view them with a certain degree of caution and skepticism. These texts describe that Gosala believed in Niyati or predeterminism, which is more or less akin to what is more popularly known in the west as fatalism. According to this doctrine2, the world evolves and moves in a predetermined way, like the unfolding of the design of a tree hidden in its seed. There is no place for free will in the events of the world or in the birth and death of beings. Beings are not born on their own accord or according to their free will. Everything happens according to a predetermined plan or niyati based on its natural state (svabhava) and some fortuitous occurrence (sangati). According to the Buddhist and Jain sources, Ajivikas believed in fate rather than karma. Gosala said to have believed that the suffering and evil experienced by a being came not from his previous karma but from the fate to which he was subject. The Ajivikas discounted all human effort. Everything came out of fate and nothing could be done to change it. So there was no use fighting against it. They believed that the number of souls was infinite. They also believed in the reincarnation of souls and cycles of creation. They used dance and music to achieve ecstatic states of consciousness. They indulged in the resuscitation of the dead through esoteric practice of vital energy transference, called pautta parihara. It is believed that the doctrine of Gosala had some aspects of the atomic theory of the Vaisheshikas and the philosophy of Samkhya. They also practiced some weird forms of meditation, such as swinging from the trees in a bat like posture (vagguli-vata). According to some versions the Ajivikas were an atheistic sect. However it is possible that the Ajivikas actually believed in the will of God which is synonymous with fate and surrendered to it without question, like the present day Sanyasis/ Since Buddhism and Jainism did not believe in the existence of absolute God nor in any divine design hidden in creation or unfolding of life, they might have interpreted the beliefs and practices of Ajivikas as fatalistic to prove their point. The differences among Ajivikas, Buddhists and Jains was mainly with regard to the role of an individual in suffering and the nature of karma. According to one version differences arose between Gosala and Mahavira because some two close followers of Mahavira, Savvanubhuti and Sunakkhatta, both women, defected to Gosala. The Ajivika doctrine was probably a step ahead of Samkhya's basic notion that the cause was always hidden in its effect. However it is not clear how they reconciled with the Samkhya's assertion that Prakriti or nature was an unintelligent and mechanical force or its belief in the non existence of God. The doctrine of Gosala consisted of six parts: gain (labham), loss (alabham), happiness (sukham), sorrow (duham), life (jiviyam) and death (maranam). These are the pairs of opposites, which according to Buddhism, Jainism and Hinduism, need to be transcended to overcome human suffering and become free. While we are not sure in what context Gosala used these principles, it is possible that he might have shown his followers the way to transcend them and achieve equanimity of the mind. It is interesting that a popular sect like Ajivikas disappeared completely from the Indian soil. The increasing popularity of Buddhism and Jainism, some doctrinal issues that were difficult to practice and uphold, lack of royal patronage and the absence of leadership following the departure of Gosala might have contributed to the decline. Their religious texts were not preserved probably because they were not composed in Sanskrit and incomprehensible and unacceptable to the ancient Vedic scholars.  Part of their philosophy might have found its way into some ancient Saiva sects and some popular Hindu beliefs. According to some inscriptions a form of Ajivika sect might have survived as late as 13th or 14th century. However we are not sure whether the name was used to refer actual Ajivika sect or followers of digambara sect of Jainism. Although it has disappeared altogether, the Ajivika sect seems to have left its footprints in the Saivism of the Post Mauryan period and the popularity of its sects like the Kalamukhas and Kapalikas.